I am SOOOO excited!! As you've all seen the new patterns I've released and shared them here on the blog for free, I wanted to also bring in my original patterns as well!! Up first is my Peek-A-Boo Crop Top crochet pattern! I had so much fun designing this piece a few years back, and it's still one of my favorites! Though this may be an "oldie", this is for sure a "goodie". With adjustable straps in the back, it allows for a perfect and custom fit! 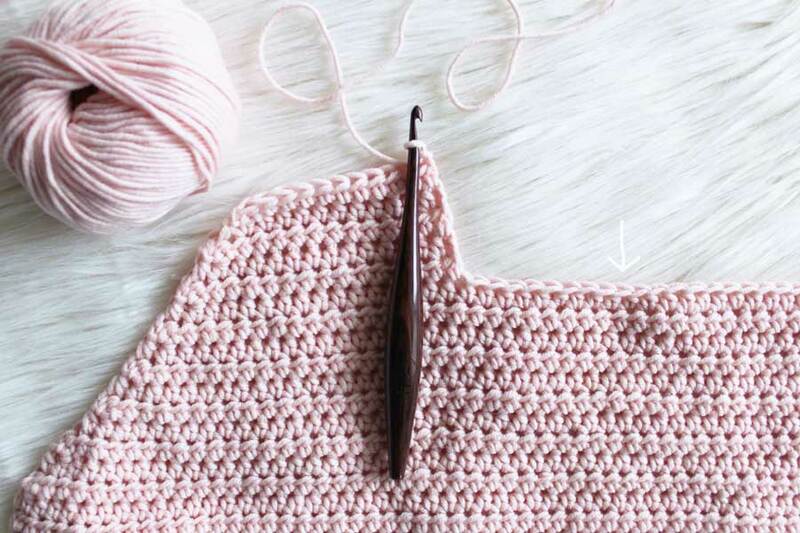 Simple stitches, easy shaping.. this is bound to be a new favorite pattern for your library! 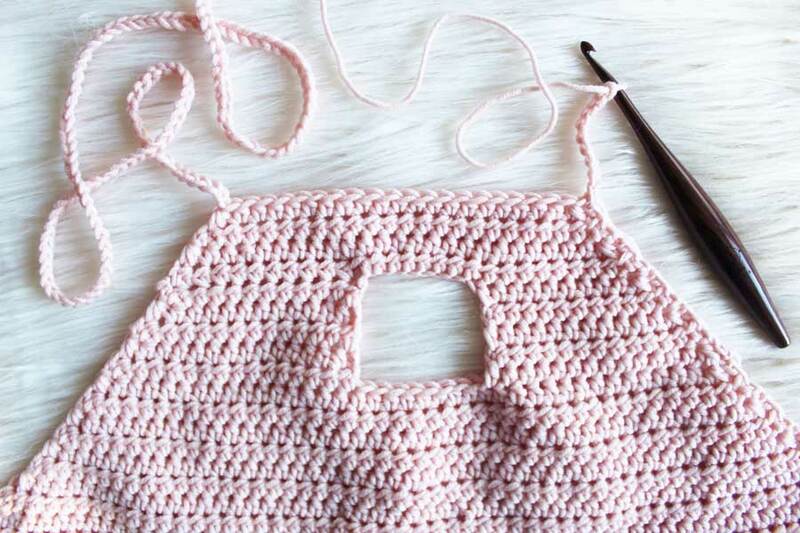 This darling crop top pattern is sure to be a hit with your friends and customers. 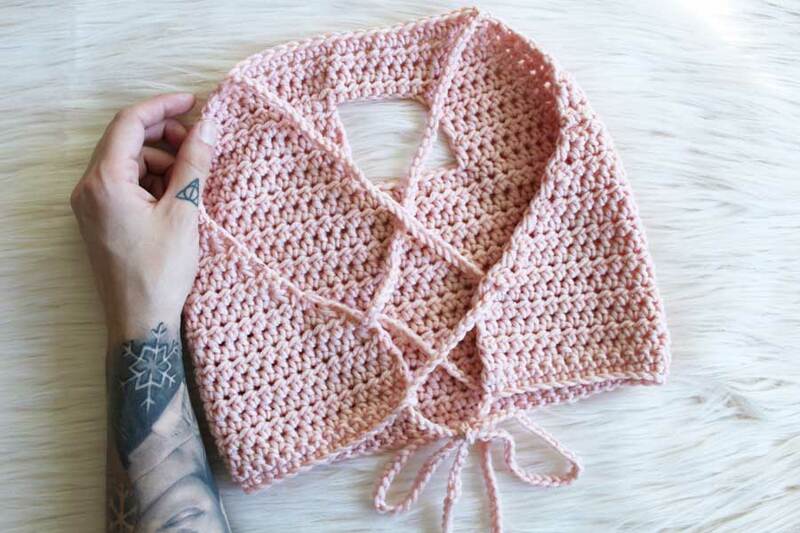 Crochet your own Peek-A-Boo crop top with an adjustable and customizable back design. This pattern is written as a one size fits most and is written in detail and accompanied with pictures to further help you fully understand each step. 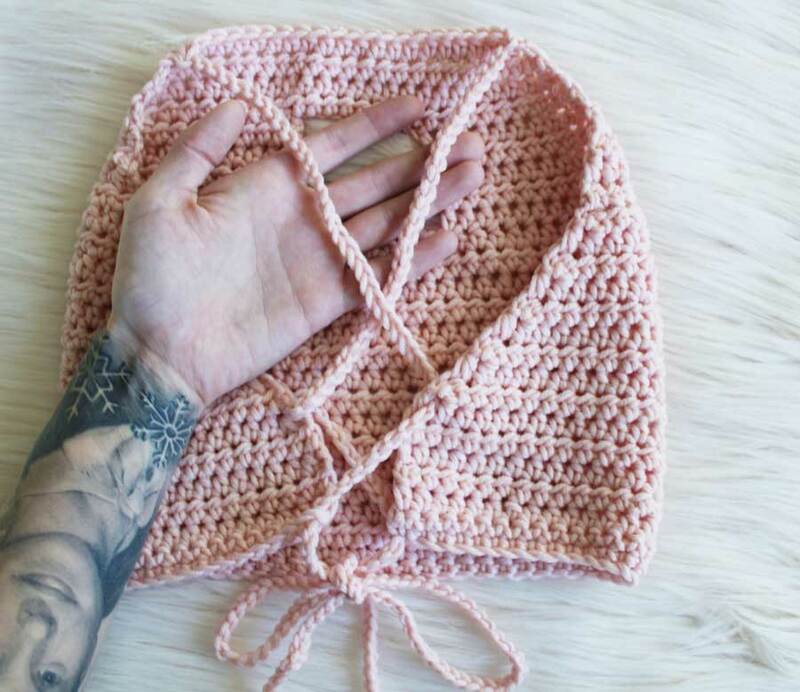 This is an easy pattern and uses basic crochet techniques to complete. 35. Sl St to opposite top corner. CH115. Finish off. 36. Weave in ends. Do not trim or weave in ties. You’ll need the extra yarn ends for the next step. Now you have completed your crop top. Woohoo! Attach a yarn needle to the tail of one of your ties. Using the photo below as a guide, sew the tie through the top. Repeat with the other tie. This design allows for a custom fit for most sizes. If you choose to sell your crop tops, you can advertise them as a one size fits most. You can tell your customer the measurements of the piece and allow them to decide if they think it will fit their bust. I am a 30D and you can see above how it fits me. The tie design allows it to fit most band sizes. As for cup size, it will be based on their comfort level. Congratulations on completing your Peek-A-Boo Crop Top! I can’t wait to see the color choices you choose. If you post your photos to Instagram, please tag me and use the hashtag #thehooknookers to share with others!